I recently attended a commercial real estate conference held in Birmingham, Alabama, where over 500 commercial brokers, developers, lenders, politicians, and business leaders gathered to learn of current trends in commercial real estate, as well as to gain a better understanding of how certain factors have and will continue to shape the future of Alabama. Prevalent themes centered on the rapid growth of the Gulf South region and the evolution of our industry—with progressive growth and opportunities on the horizon for the South Alabama market, notably, changes in the office market space. Baldwin County continues to be the fastest growing county in Alabama with 49% population growth since 2000. The University of Alabama’s Center for Business and Economic Research (CBER), projects that the Daphne-Fairhope-Foley metro population will increase 43.6% over the next 20 years, and is anticipated to become the 4th largest MSA in the state by 2040. The recent arrival of the Walmart distribution center and Amazon fulfillment center, combined with the expected growth of companies such as Airbus and Austal, the continued success of the Port of Mobile, and the addition of the new bridge over Mobile Bay all point towards a bright future for the South Alabama region. But as the population continues to increase throughout Baldwin County and new businesses are attracted to the region, the nonexistence of Class A office space outside of Mobile’s CBD is evident. The product simply doesn’t exist. The lack of available inventory can indeed be frustrating—not only to national commercial brokers seeking office space options for clients but to local economic developers tasked with recruiting industry and commerce to the area. Even more challenging would be to locate a Class A office building that meets the preferences of today’s changing workforce. There are certainly niche markets, such as Downtown Fairhope, that are starting to support a higher-end office product but on a smaller scale. Other options for office space along the Eastern Shore of Mobile Bay, including Spanish Fort, Daphne, Fairhope, and Point Clear are primarily made up of smaller, older buildings, some of which are becoming antiquated. Office space needs for those users not willing to commute to broader markets such as Mobile or Pensacola are often met by converting retail space to office use or working from a home office. On pace with national trends, office building features are evolving, with an emphasis on more open space for collaboration and shared-office facilities in high-tech buildings. Suburban locations with urban-type amenities are highly favored among the substantial millennial demographic shift and will create even more demand in the next few years as the age group continues to mature. Another popular suburban office trend is the mixed-use, live-work-play development model with walkability to nearby restaurants, retailers, and residential services. 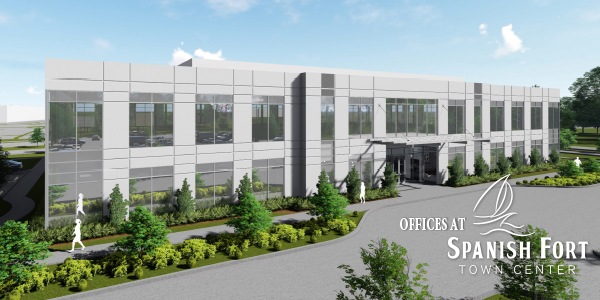 To expound upon the shifting trends of suburban office space and the lack of Class A inventory in the area, Stirling Properties has recognized a significant need to provide for quality office space. We are currently underway on pre-leasing efforts for The Offices at Spanish Fort Town Center, a proposed 2-story, 44,000-square-foot, Class A office building strategically positioned along the I-10 corridor in Spanish Fort. This future development is in the bullseye of major growth in the county and provides convenient access to both Mobile and Pensacola. 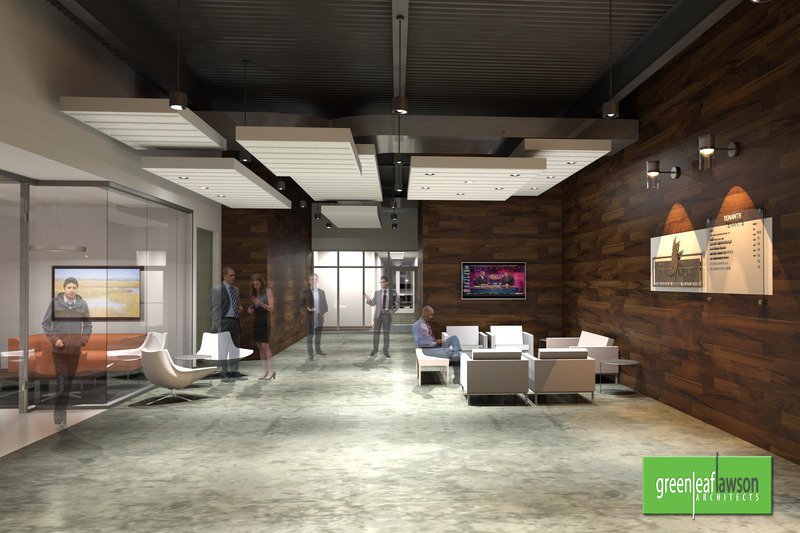 Not only will this new office building help to attract corporate and professional users to the area, but the new construction and design also allow the incorporation of the emerging styles that will change the way office space is utilized. The Offices at Spanish Fort Town Center will include state-of-the-art construction such as efficient floor configurations, allowing tenants the ability to design space to incorporate innovative ways to potentially reduce square footage required, therefore, reducing rental expenses. Other features include flex space to encourage and promote collaboration among employees; flexibility in hours of operation, as the trend for 24/7 “shift” use evolves; and ample, free surface parking, resulting in significant cost savings when compared to paid parking typically associated with CBDs. It will also benefit from high interstate visibility and signage opportunities. The office building is within walking distance of numerous on-site amenities associated with Spanish Fort Town Center, a mixed-use development consisting of retail, restaurants, and residential facilities. An on-site Container Park is also planned for 2018, with exciting new restaurant vendors. Our region is quickly emerging as a top destination for business and corporate growth and relocation. Baldwin County has been named #1 in the state of Alabama for incoming business investment for the 2nd year in a row, and #1 in the state for Workforce Talent Attraction. If we are going to compete with other top markets—and win—we must be able to provide quality office space in our suburban markets. Stirling Properties is excited to embrace and support the growth of Baldwin County and our region. 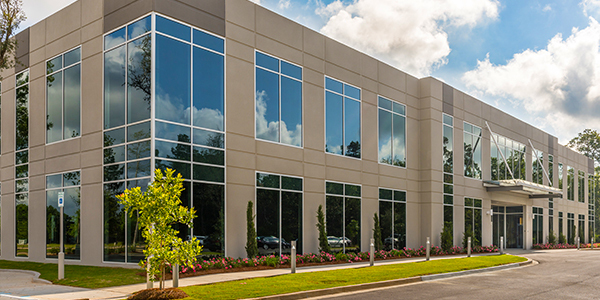 With offices spanning the Gulf South, our team is well-equipped to recognize and execute strategic commercial real estate opportunities—from Louisiana to the Florida Panhandle. For additional information, please contact me at 251.375-2496 or jbarnes@stirlingprop.com.